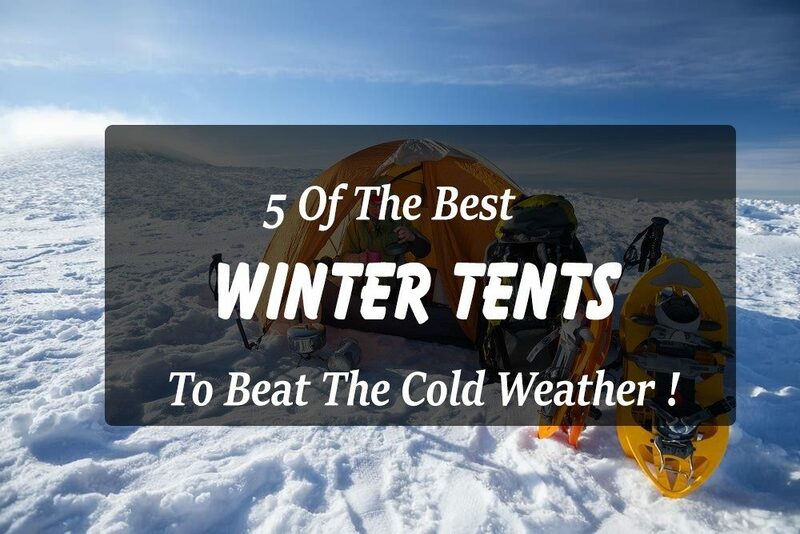 5 Of The Best Winter Tents To Beat The Cold Weather ! →5 Of The Best Winter Tents To Beat The Cold Weather ! If you are planning to go camping in winter, then having the best winter tent is one of your necessities. This type of shelter is essential if you are going into a high-altitude climb or expedition. When you are at these terrains, all elements are against you. To prevent being frozen (or potentially be at risk), then having a good four-season shelter is one of the requirements for cold expeditions. You cannot just anticipate what will happen while you are up there. There are instances in where the beautiful weather can suddenly flip into a disaster. 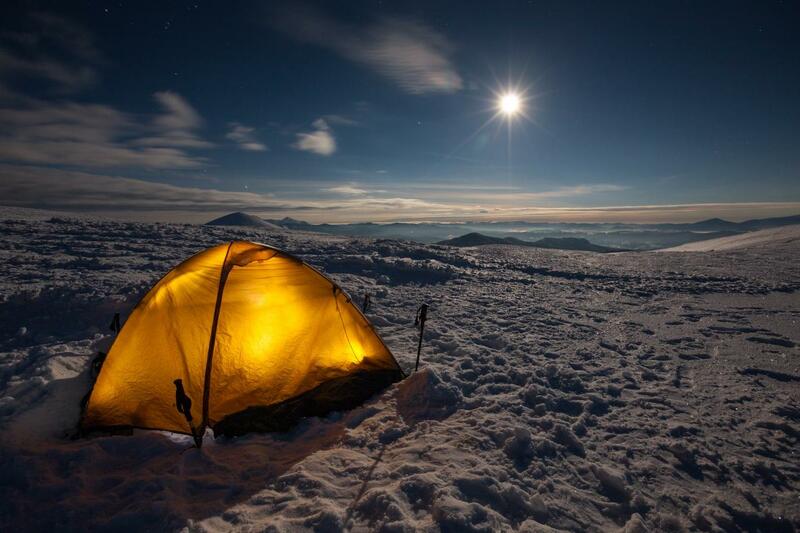 A winter tent is designed to resist the extreme cold and elements of a high-altitude climb. It offers a livable compartment (which is usually for two people) and a sturdy wall that doesn't fall off quickly. Moreover, it has a support system that can disperse the high winds. There are two choices when it comes to the walls of a four-season tent: the single or double wall. Many climbers would prefer the double because it gives two layers of protection against the harmful elements. Moreover, the inner wall acts as condensation regulator, which make it breathable. On the other, the outer wall will secure you thoroughly. If you want a tent that has a small footprint and lighter weight, then go for the single wall tents. They are quick to set-up and can be installed in tight spaces such as ledges. The poles are the primary support system of a winter tent. If you a brittle pole then expect that you won't survive a night in a winter hike. When it comes to the design of the pole, there are two options available for you: the 2-pole system or the 4-pole system. These two are the traditional pole designs. New brands of winter tents take these schemes one step forward to make a sturdier support to their product. Some factors determine the quality of poles. Such of these are the number of intersections, clips, and the attaching material of the pole and tent. Extra guy lines are needed to provide optimal support to the winter tent. In fact, these accessories are critical in preserving the longevity of your tent. In an area where the direction of the wind is unpredictable and strong, a guy line can make a difference. Of course, it is important that the quality of your guy line can sustain maximum tension and wobbling. Moreover, knowing the different styles to increase the firmness of these accessories would be helpful too! The availability of ventilation of your winter tent can prevent the cold air from freezing and sticking to the wall. Therefore, you need a tent that can effectively take out the water vapor from your breath outside. In this way, you will avoid them from condensing on the walls of your tent. Also, know these basic techniques on how to stay warm while you are in the tent! The Mountain Hardwear is the first four-season tent that came to our mind when making this list. This is a highly recommended shelter if you are going to terrains that are freezing and the temperature is already below zero. Mountain Hardwear designed this winter tent in collaboration with Ed Viesturs, a veteran American mountain climber. 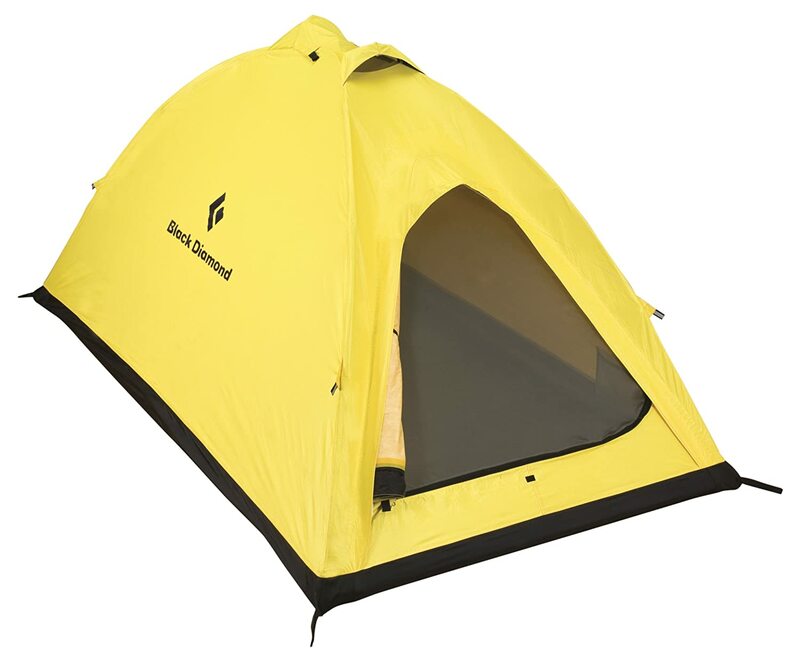 It is a two-person tent, whose construction is made for high altitude, freezing, and severe environment and weather conditions. If you are inside this tent, all those harsh elements will be blown away. Moreover, its fabric is sturdy but lightweight. You can also guarantee that the walls cannot be scratched easily even for the fact that is a single-wall tent. It is also a waterproof tent. When it comes to dealing with strong, freezing winds, the Mountain Hardwear EV2 can do it. It has a third pole that provides optimal support to the entire structure. Expect that this winter tent can effectively disperse heavy blows and big snows. Aside from that, it has a watertight port located on the floor that serves as an exit passage for those accumulated snow and frost. This feature adds optimal protection to this tent. Aside from that, the walls are very breathable and do not quickly catch fire. If you are going to high-altitude mountaineering and freezing alpine climbing, the Hillerberg Jannu is your ideal shelter. You can set up this tent quickly so you will not waste time in the pitching process. If there is a sudden ravage of a snow storm, then its quick and easy setup feature are very beneficial. One of the advantages of Hilleberg Jannu to other winter tents is the sturdiness of its supports and walls. The intersecting poles that it has are capable of withstanding the extreme loading of snow and winds. Even the battering happens on all sides of the tent, you can still rest comfortably and safely as long as you are inside. This strong feature of Hilleberg Jannu is the reason why many expert climbers recommend this for expedition climbs and technical hikes. Specifically, the fabrics are made from impregnated rip-stop nylon. This nylon is one of the toughest out there since it is capable of handling 26.5 pounds of tear-strength. Moreover, it has three straps attached to the ground to maintain the height and tension of the pole. Also, the tie outs of this winter tent have heavy reinforcement. If you are just going to an easy-peasy campsite, then you should choose lighter brands since this one weighs almost 10 pounds. But don't worry. You should not compromise your safety with the slight addition of weight. 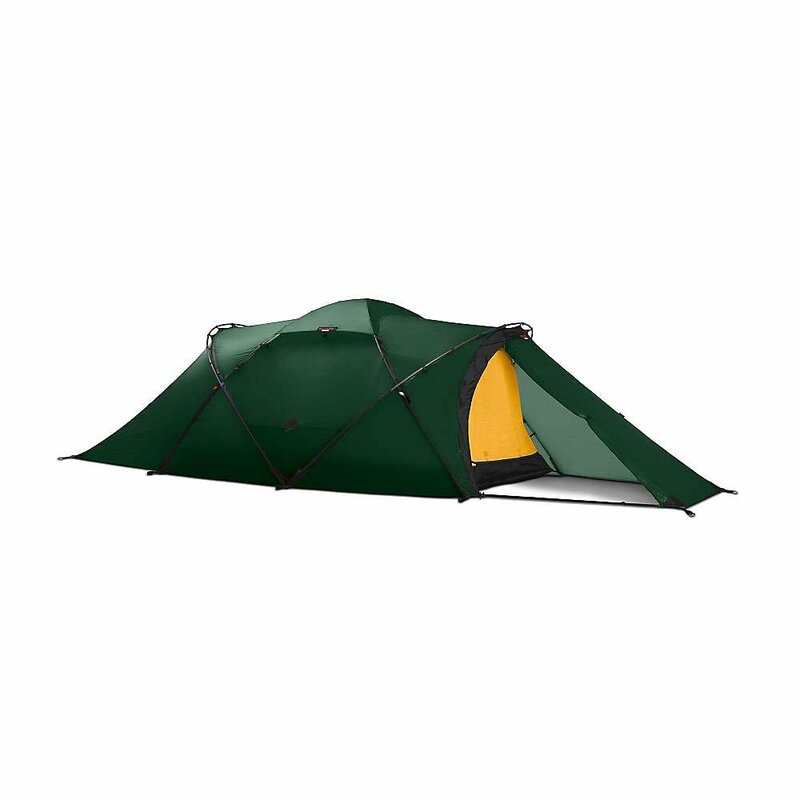 The Hilleberg has a floor area of 36 square meters. This is one of the largest among any other two-person winter tent. Considering for a spacious single wall tent will lead you to Black Diamond Fitzroy. If you are traveling with a lot of loads with you, then this winter tent is the ideal choice. With a size of 36 square feet, this tent is too vacuous for two persons. In fact, we can even recommend three people inside here. Although, we have to tell you that it does not have enough headroom. The entire construction of this tent is made from a three-layer ePTFE membrane. This material is highly breathable and offers quality waterproofing. Moreover, it can also give adequate and durable protection against harsh elements. You can guarantee that this four-season tent is truly a bomber. No strong wind and any weather condition. Even if it is true that it a single wall tent, it is still so drum-tight that even the most powerful blows won't move it a single inch. Apparently, this is one of the strongest tents out there. If not, it is the strongest. Moreover, it weighs 6 pounds, which is kind of heavy for a single wall tent. Do not take this tent on a three-season condition because it can't offer good ventilation and breathability. If there is a tent that can contest the strength of Black Diamond Fitzroy, it is the Hilleberg Tarra. 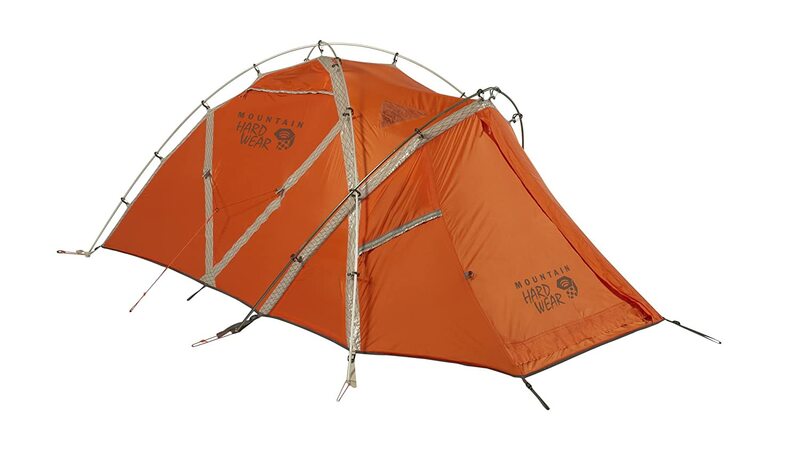 This tent can even grin even at the safe of heavy blows because it has quality materials and poles. Because of this feature, we highly recommend that you only use Hilleberg Tarra if you are doing base camps on some high altitude campsites or if you are in a massively exposed terrain. It has DAC Featherlite NSL Green poles, with a size of 10.25mm. These poles are the primary support system that this winter tent uses. It creates a symmetrical dome, which is a smart design to disperse the wind effectively. Moreover, this type of scheme effectively decreases flashbacks, which dirties your tent with mud and water. It also uses a short clip combination so that you can insert two poles into the different sleeves of the tent. This feature adds to the strength and durability of Hilleberg Tarra. On the other hand, the fabric it uses has three layers of silicon. For your information, silicon is sturdier (and apparently more expensive) than the usual polyurethane fabric. 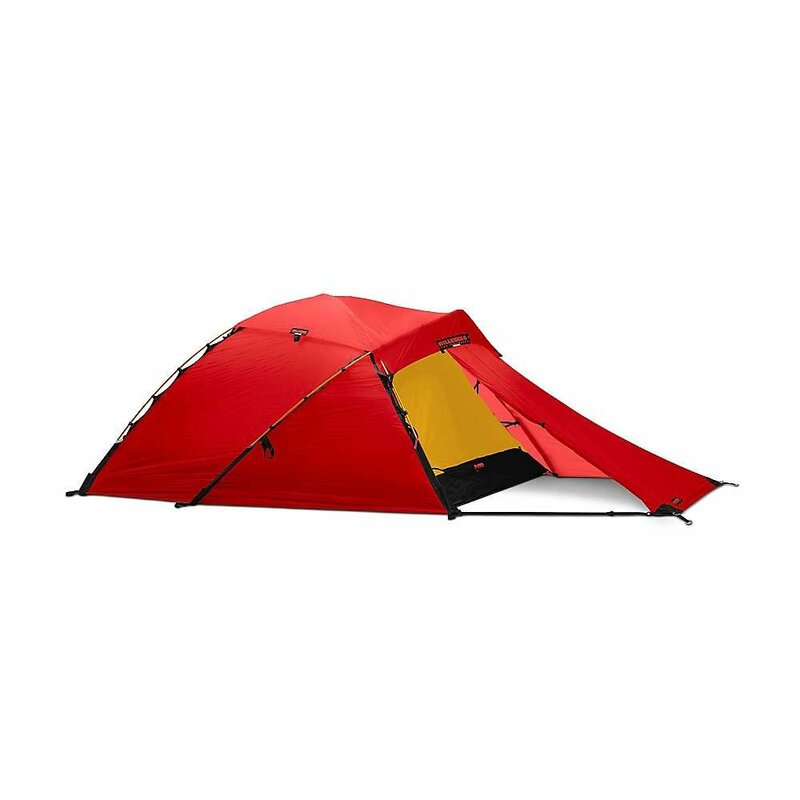 With this type of construction, the tear strength of the Hilleberg Tarra is 40 pounds. But even for that, you would be amazed that this tent only weighs 1.91oz! The coating of this tent is also efficient in killing UV rays. This means that the quality of ifs waterproofing is also extended too. 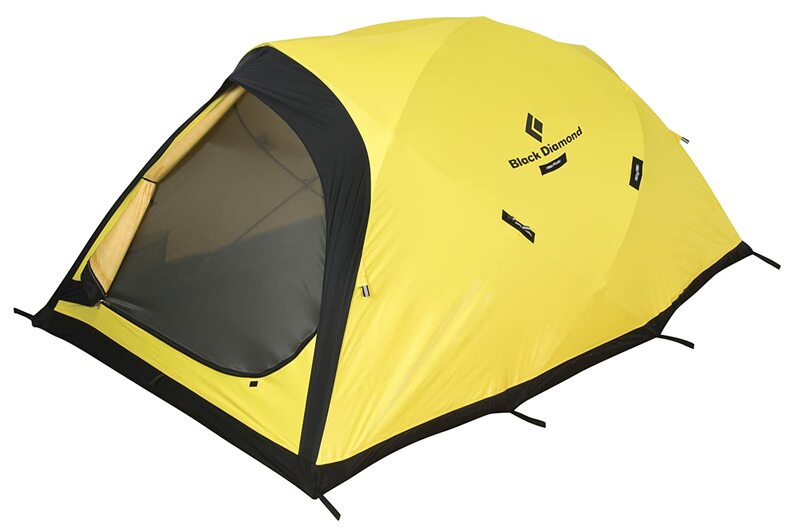 Another winter tent that is worth the try is Black Diamond Eldorado. For many years, it has been one of the top choices for alpine climbs and extreme expeditions. It has a super sturdy three-layer ePTFE membrane that effectively resists any blows and throes. Also, this layer is attached to a durable fabric, which far stronger than its polyurethane counterparts. Although the Black Diamond Eldorado lacks a third pole (for headroom and additional support), its support system is still top notch. Of course, it has quality weather resistance which is suitable for any four-season challenges. When it comes to the room inside, the size would not be too large, but it is already okay if it is only two people. You can also freely leave this tent open if the weather is good because of its optional bug netting. The actual tent weighs around 4 pounds. But if you pack it, it might weigh around 5 to 6 lbs. All of these winter tents are all guaranteed to survive in the harsh weather conditions. They are four-season tents that have sturdy wall construction and support system that can effectively fend off robust wind blows and snow storms. Moreover, each of these tents has unique, smart design to make them waterproof and resilient to the extreme elements. As you can notice, all of them are for two persons. The main reason for this is not to safe camp alone, especially if it is an expedition or alpine hike. Furthermore, these brands of winter tents are lighter compared to other brands. They also offer other useful ergonomics, which are very helpful when you are out there in the cold. However, we will still declare the Hilleberg Jannu as the best winter tent among them. The quality of its construction materials makes it so durable and dependable as an instant shelter. It is very quick to setup, very breathable, and has a cozy ventilation. It is like you never left home when you are in this tent! Did you learn from this article? Then show us love by liking, sharing and tweeting this to your families and friends!